Our formal Spring Recital will be Sunday, May 19 at 5:00 at the ISU Center for Perorming and Fine Arts Recital Hall. This recital is free and open to the public. Summer information will be out soon. Watch for details for a fun summer! Welcome to Browne Music School! We are pleased that you are considering music lessons! Research has shown that we are all born with an aptitude for music, and we are here to nurture it! We offer piano lessons for students of all ages and abilities, and piano classes for young beginners. 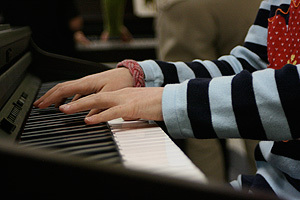 Piano students learn to both read music and play by ear. Music theory and musicianship are emphasized with every student to help them reach their full potential. Many performance opportunities exist - monthly musicales, semester recitals, piano festivals, and competitions. In addition, there are spring theory classes that are free to all enrolled piano students. 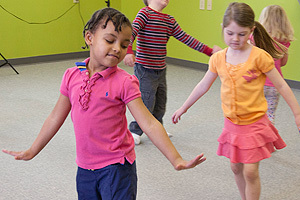 The preschool music classes offered at Browne Music School are designed to nurture the child’s music aptitude by engaging children and their families in singing and movement activities which help attune the ear, refine the voice, and develop a rhythmic body through which music can be expressed. Additionally, instrumental activities are part of the program, ranging from playing simple rhythm instruments such as sticks and drums for babies and toddlers to playing keyboards for older children. As you familiarize yourself with our class offerings, we look forward to answering your questions and welcoming your family into our music studio. © 2019 MUSIKGARTEN:: Browne Music Scool All Rights Reserved.